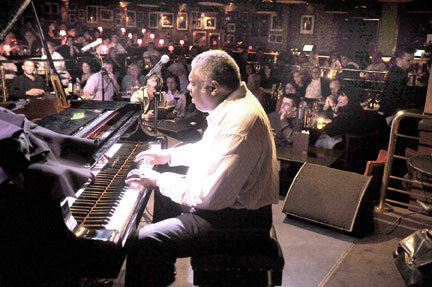 It is very difficult to take in the demise of Mulgrew Miller, a true jazz giant who has been the major influence of contemporary piano for the last twenty years. Coupled with the undisputed depth of his music, his pervasive and yet unaffected presence made him a beacon for all jazz musicians. Born on 13th August 1955 in Greenwood (Mississippi), Mullgrew Miller died on 29th May 2013 in Allentown (Pennsylvanie) following two strokes. Mulgrew was a young starter, playing publicly at 10. His musical environment was rooted in gospel (he played organ in church), blues, country and western, as well as classical music. With the assistance of James Williams, Donald Brown and Bill Easley at Memphis State University, his career didn’t take long before soaring, playing with artistic heavyweights such as the Duke Ellington Orchestra (led by Mercer Ellington), Betty Carter (1980), Woody Shaw (1981-1983) and Art Blakey’s Jazz Messengers (1983-1986). He was also a mainstay of the Tony Williams Quintet, a major group of the late 80s with Bill Pierce (ts, ss), Wallace Roney (tp) et bassists Ira Coleman, Bob Hurst or Charnett Moffett (1986, Civilization ; 1988, Angel Street ; 1989, Native Heart ; 1991, The Story of Neptune ; 1992 Tokyo Live). 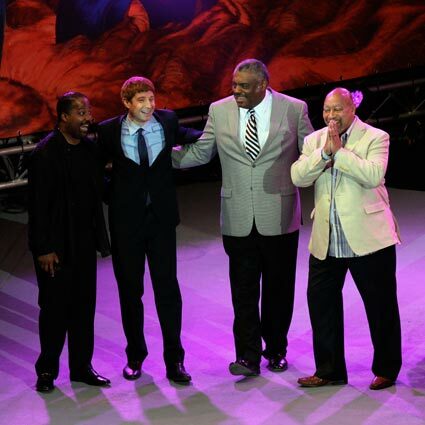 Mulgrew Miller took part in many projects connecting him to a wide musical family, comprising well-established leaders like Benny Golson (1990, Quartet ; 1993, Live), Harold Land (2001, Promised Land), and the magnificent trumpet encounter between Woody Shaw and Freddie Hubbard (1985, Double Take ; 1987, The Eternal Triangle). But he was also keen to play with young lions such as the Terence Blanchard-Donald Harrison Quintet (1984, Discernment) or Nicholas Payton (1995, From This Moment). He never abandoned his duties as sideman, whether for one-shot recordings or as part of continued groups, such as Ron Carter’s now historical Golden Striker Trio with Russell Malone (2003, The Golden Striker ; 2013, Live in San Sebastian). A wonderful accompanist who could pressure leaders into playing at their best level, his dedication was to always boost their music (Ralph Moore’s 1988 Rejuvenate is a case in point) — which accounts for his playing on more than 400 sessions. He was also a remarkable leader, as early as his first recordings, as a string of Landmark albums testified with enduring power, showing superlative freshness and invention (1985, Keys to the City ; 1986, Work ; 1987, Wingspan ; 1988, The Countdown ; 1990, From Day to Day ; 1991, Time and Again ; 1992, Landmarks). His outfit Wingspan, with vibes (Steve Nelson) and alto sax (Steve Wilson, Kenny Garrett) is among the great contemporary bands that display a truly unique sound and musicality (2003, The Sequel). As of 1995, Mulgrew frequently toured with Kenny Barron and various all-stars devoted to piano summits (Memphis Piano Convention, The New York Jazz Giants, One Hundred Golden Fingers, Jazz at the Philharmonic Revisited, etc. ), playing alongside James Williams, Geoff Keezer, Hank Jones… He recorded as a duo with Niels-Henning Ørsted-Pedersen (1999, Duets, with Ellington and Jimmy Blanton in mind). Their duo then became a trio with the great drummer Alvin Queen. As a leader, Mulgrew Miller released several luminous recordings for MaxJazz, with his sextet (2003, The Sequel), and trio, featuring Derrick Hodge (b) and Karriem Riggins (dm) (2004 & 2005, Live at Yoshi’s vol. 1 & 2) or Rodney Green (Live at Kennedy Center volume 1 & 2, 2006 & 2007). With Richie Goods (b) and Karriem Riggins then Derrick Hodge and Rodney Green, Mulgrew Miller reinvented the art of the jazz trio in a tempestuous way, harping on tradition (he never neglected the standards, of which he was a marvellous interpreter) and its explosive renewal. In true jazz fashion his artistry was founded on a profound sense of commitment and conviction as well as a rare humility. His last album as a leader, Solo, recorded by Xavier Felgeyrolles (Space Time Records) in 2000 was released in 2010 and is a fine example of his approach, showcasing the subtle obviousness of his musicality. On top of all that, Mulgrew Miller was an exceptional composer, often inclined to a certain degree of sophisticate melancholy (« Song for Darnell », « Farewell to Dogma », « Carousel ») that contrasted with his aggressive rhythmic presence. He thus gave shape to a very singular form of muscular lyricism, taut between tenderness and dynamic assertiveness. A quiet man with a family life, Mulgrew Miller had a solid sense of humour and remained a scrupulous and devoted artist whose creativity seemed limitless. His generosity and will to share his music had made him a very appreciated teacher and he became head of the jazz department at William Paterson University (New Jersey) in 2006. Warm and humble, gentle and reserved, Mulgrew Miller had delighted us with several interviews, even gracing the cover of Jazz Hot in 2008 (n°519, 1995 ; n°562, 1999 ; n°646, 2008). 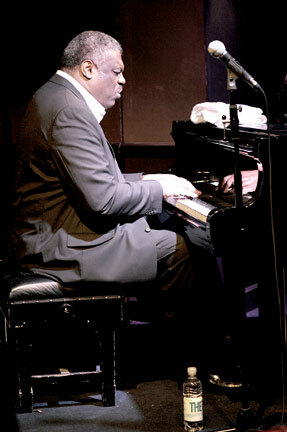 His playing could be described as the unique crossroad where Oscar Peterson (an influence he was always quick to point) meets McCoy Tyner and the Memphis school of piano (Phineas Newborn, James Williams, Donald Brown, Harold Mabern). Which would not be complete without deep roots in blues and gospel, a knowledge of classical music and a great open-mindedness. Mulgrew Miller has created an acutely personal style, both sensitive and manly, with signature harmonic turns and in-your-face rhythmical vigour. His touch, his soulfulness, the feeling he brought to each note and the way he always told a story make him a major pianist in the history of jazz. One may wonder at the disparity between the love he received from many pianists who absorbed his influence (Robert Glasper, Anthony Wonsey, Geoff Keezer…) and the lack of awareness of a certain type of self-proclaimed jazz-lovers who only listen to a hyped array of paltry stars. Given Mulgrew Miller’s boundless invention, that his music could have been termed conservative should not even bring comment. His legacy will live on through an abundant discography, of high quality and consistency. Fortunately for the long-lasting memory of real jazz-lovers, he often played in Europe, thanks to booking agent Jordi Suñol, and he left a deep impact on anyone who was fortunate to hear him in person. Jazz Hot’s heartfelt sympathy goes out to his wife Tanya and his children Leilani and Darnell. The whole jazz community is deeply saddened by his passing.